The safest, most effective way to recover from most injuries is to use the body’s natural healing process. However, simply letting your body heal on its own can take months, and leaves you vulnerable to re-injury. You can accelerate this process by improving your blood flow, which will drastically reduce your treatment time and risk of re-injury. 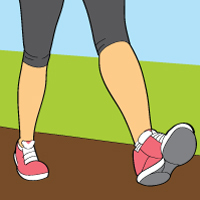 Many people perform physical activity to try and increase their circulation. However, this can be very dangerous as it opens you up to chronic re-injury. In order to recover, you need to be both at rest and increasing blood flow. The best way to improve circulation while keeping you safe from re-injury is to use a Blood Flow Stimulation Therapy® (BFST®) device. These devices are worn like wraps around the injured body part, and use EMR technology to increase circulation, even at rest. BFST® Wraps are able to reduce overall recovery time, enabling you to heal from your injury faster and more efficiently. You are injured - this means the soft tissue deep below your skin is damaged. 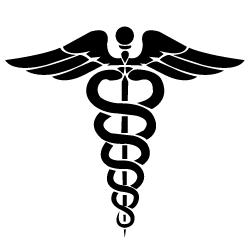 Your body has the ability to heal itself, and if given time, will heal the wound on its own. The body requires rest and cannot be stressed while it is in the process of recovery. However, most people do not have the time in their busy schedules to rest and let themselves heal for long periods of time. The solution to this problem is to increase the flow of blood to the injured area. 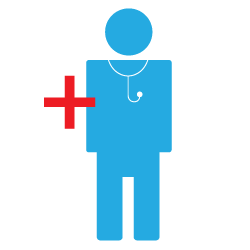 Blood carries essential nutrients and oxygen to your tissue, which helps to heal the damage. By improving circulation, you can bring more healing power to the injured area, decreasing your recovery time. Normally, if you want to increase your blood flow, you need to exercise or do some form of regular physical activity. For someone who has been recently injured, though, this is dangerous! Re-injury is a very real problem, and if you re-injure yourself you are sent back to where you started. Using a BFST® Wrap, however, poses no risk of re-injury compared to physical activity and exercises. BFST® can be used as a safe, effective means of improving circulation, with no effort required. You can stay completely at rest while using the wrap. A heating pad is a consumer grade product that doesn’t have to go through any FDA testing to be sold. The purpose of a heating pad is to warm up parts of the body in order to manage pain. Localized application of heat causes the blood vessels in that area to dilate, bringing the blood to the surface of the skin. In some cases the pain will dissipate, but will most often return once the heat is removed. This does nothing to help heal an injury, it only makes the skin warm to the touch. BFST® Wraps will always remain cool to the touch, but the feeling under the wrap is quite different. The blood flow is being accelerated under the dermal and fat layers of the body, causing a feeling of warmth under the skin. This is a good sign, because the more warmth you feel under the surface of the skin, the faster your healing times will be. BFST® treatments will help create healthy blood flow deep below the skin where the injury is located. This creates an ideal environment for healing -- something that a heating pad is completely incapable of doing. The more frequently you use the BFST®, the less heat you will feel. This is a good thing! 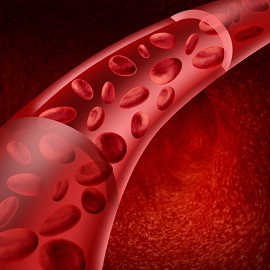 It doesn’t mean that the rate of healing is slowing down or that the wrap is no longer working, but rather your body is getting used to having an increased amount of blood flow on a more regular basis. This means that the healing process will have no option but to accelerate as well. When trying the BFST® for the first time, most people have an idea of what it’s supposed to feel like. BFST® treatments are very pleasant and relaxing. No vibrating, shocking, pain or discomfort is going to be felt throughout the course of the treatment. As it has already been mentioned, the BFST® is not designed to produce a lot of surface heat. This is because it’s not a heating pad and the treatments are designed to heal your injury. You may feel a very slight warming sensation and possibly some tingling. The tingling (if it is felt at all) is only a response to increased blood flow, and should never be associated with a TENS machine. The technology of a TENS machine is very different, and was designed to have a different purpose than the BFST® does. The more BFST® treatments that you do, the less warmth you will feel. This doesn’t mean that the BFST® is less effective, it means that the circulation in the injured area is improving. Each BFST® is enclosed in a soft Neoprene wrap, designed for a comfortable treatment experience. During treatments, the BFST® has a feeling of warmth; a feeling many enjoy while at the same time treating their injury in the best way possible. The shape of the wrap is far from generic; each wrap is crafted with a specific body part in mind for the best fit possible. The flexible design of BFST® Wraps allows you to move the treatment area and not be inhibited by the wrap, so the things you want to do don’t have to be put on hold during treatment. Think of it this way: BFST® Wraps are medical devices that are FDA Registered. Heating pads are not. Heating pads will stimulate blood flow at the surface layer of the skin, which will provide relief but not increase blood flow to the muscles, ligaments and tendons. The BFST® Wrap, on the other hand, will stimulate additional blood flow beneath the skin and fat layer, moving the blood flow where it’s needed. BFST® Wraps are not only FDA Registered, they are also classified as medical devices. This is significant in terms of your health and safety. It means that these devices have been manufactured with materials that meet the safety and quality standards set out for medical devices. It also means they have gone through various levels of testing and inspection. Not only this, but the manufacturer will go through regular auditing from different governing bodies. Before using the BFST® Wrap, like with any treatment, you should talk to your doctor to make sure it is the right product for your particular injury or condition. Many people expect BFST® treatments to feel like treatments they have received from other popular devices, but the feeling is completely unique. It does not get really hot on the surface like a heating pad, nor does it shock like a TENS machine. 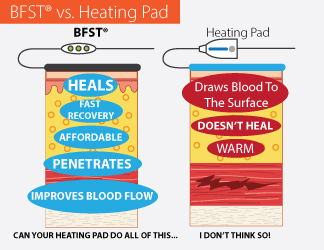 The BFST® Wrap is actually designed to give off as little surface heat as possible in order to enchance healing of the soft tissue below the skin. Most people experience a subtle warming and tingling sensation during treatment. Part of the warming is from the surface of the Energy Web®, but most of it is from the increased blood circulation the device is promoting deep down in your soft tissue. Redness - If you have a light complexion you may notice some redness in the treatment area after removing the BFST® Wrap. This is normal and is caused by an increase in blood flow at the surface of the skin. The redness should disappear within several hours. If it does not, cease using the BFST® Wrap. Rash - While this is rare, there are a small number of people who may experience a rash from the BFST® Wrap due to an allergy. The BFST® Wrap is made from materials that have gone through biocompatibility testing for safety -- this is a very high standard and allows the product to be classified as a medical device. Pain - If you feel pain during treatment, this is an indication that you may have inflammation deep down in the soft tissue that is not visible to the naked eye. Try downgrading your BFST® treatments from 20 minutes to 10 minutes. If you still experience pain, you may need to use cold therapy in order to get rid of the inflammation to make way for the healing to begin with increased blood flow. 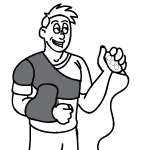 Burns - If you choose not to follow the BFST® instructions and do something like apply a topical pain cream right before using the BFST® Wrap, you may experience a burn due to improper use of the device. If you do experience a burn, stop treatment right away. Blisters - While it is rare, your skin could blister if you have a rash or burn and continue using the device for an extended period. If you notice blistering, stop using the product and see a healthcare professional. Irritation - If you experience any other sort of irritation during the use of the BFST® Wrap, cease treatment and talk to your doctor. Hypersensitivity - Some people may feel that the treatment area is hypersensitive for several hours after a BFST® treatment. While this is normal, if it feels unpleasant in any way, stop using the BFST® and see a healthcare professional. If you want to get the most out of your BFST® Wrap, use it for healing maintenance. This means you should keep doing treatments, even after your injury is healed. This will help protect your body from re-injury and ensure that you are actually fully healed. Many people think that since the pain is gone, healing is complete, but this is far from the truth. In reality, healing takes a long time, even with something like the BFST® Wrap. That’s why continuing to use the BFST® Wrap is so important. The healing process involves many stages, one of which is re-injury. This is inevitable and happens to everyone, even if you are trying to rest as much as possible and do regular BFST® treatments. Remember, no pain doesn’t mean healing is complete. Your tissue still as a long way to go, so keep using the BFST® Wrap to make sure you get there. As you start healing and becoming more active again, remember to do a BFST® treatment right before the activity, whether it’s going for a walk, playing a game of golf or doing an exercise routine. This will prep the body for action and bring healthy blood flow to the area, helping to protect you from re-injury. While promoting blood flow to help the body heal is important, so is using cold therapy to control pain and swelling. 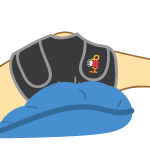 The BFST® device is designed to be used once the swelling is gone from the injured area. You may still feel some pain, but the visible swelling should be gone. In general, you should use the BFST® device during the times when the affected area feels the best (whether it’s your foot, ankle, back, elbow, etc. ), and cold when it feels the worst. If you are experiencing a lot of pain/and or swelling, this is the ideal time for cold treatments. Cold works best when applied during a flare-up of pain/and or swelling. You should also apply cold after physical activity to bring down internal inflammation and prevent further injury. BFST® is most effective once the inflammation is gone and should be used regularly to speed up the healing process. Doing a BFST® treatment before any activity that will involve heavy use of the injured area is a good idea. By bringing extra nutrients and oxygen to the injured area, you are protecting it from re-injury and preparing it for the activity.